NEW YORK, December 7, 2018	(Newswire.com) - An upscale boutique spa with locations across the U.S., skincare experts and beauty product brand Infinite Beauty shares a selection of recent testimonials from clients of its luxury spas located nationwide. Offering personally customized beauty treatments and skincare solutions, Infinite Beauty strives to create long-lasting client relationships through its passionate approach to beauty and absolute customer satisfaction, according to the brand's vice president of operations, Eric Inbar, as he shares a number of recent testimonials. "When I tried my first Infinite Beauty product I was a little hesitant as my skin is very sensitive and acne-prone, though I discovered straight away that their luxurious range is worth every penny. So smooth and creamy, I received compliments on my complexion for days after and Infinite Beauty products are definitely a staple in my skincare routine now," reveals recent new client Faith. "My boyfriend pleasantly surprised me with a weekend getaway for our anniversary. That was quite amazing, but even more amazing was waking up to a champagne breakfast, served in bed with a gift card for spa services and products at Infinite Beauty," says another client, Klaudia, of her first experience with Infinite Beauty. "It was stellar, high quality, out of this world, and I'll definitely be coming back. Many thanks to the Infinite Beauty staff for their work in making us ladies look so beautiful!" she adds. Meanwhile, delighted Infinite Beauty client Alon remarks, "Infinite Beauty is a hidden gem in the middle of the city. I was looking to get my wife something nice for her birthday, and this place is perfect." He continues, "My wife loved what I chose for her, and I'm sure I'll be back sometime soon for more." "I had the most relaxing facial at Infinite Beauty. The staff are extremely kind and offer great suggestions for how to use their products, and to boost the effectiveness of their treatments," suggests an equally delighted Megan, another recent client. "I'm so glad that my crow's feet are a thing of the past!" she adds cheerily. Of Infinite Beauty's work and products, the company's vice president of operations explains that clients always come first. 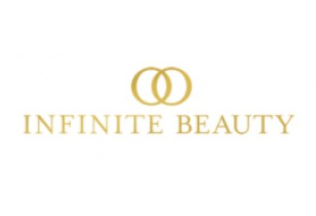 "At Infinite Beauty, we're dedicated to creating long-lasting relationships backed by a passion for revolutionary skincare products and beauty solutions. We're an upscale, boutique brand and pride ourselves on our ability to offer comprehensive skin treatment solutions alongside a wide and varied range of beauty products and medical spa services," says Inbar. "Infinite Beauty aims to help each and every client find perfectly personalized solutions by utilizing an optimal combination of facial treatments and skincare products," he adds, wrapping up, "all while offering a unique and truly refined customer service experience."